In loving memory of my beloved husband and our dear father. Adam Cunningham retired miller of Dunbeath died 17th October 1972 aged 79. 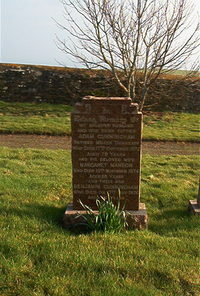 Wife Margaret Manson died 13th November 1974 aged 83. Son Benjamin Cunningham died 17th May 1976 aged 56.